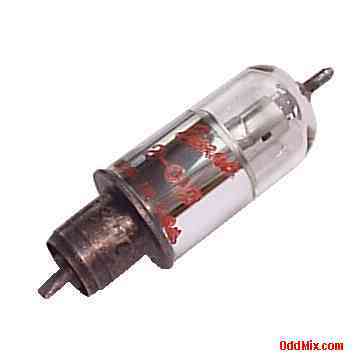 This is a genuine, special high radio frequency Eimac 2--01C electronic tube. This is a collector's special, antique vacuum tube. These coaxial miniature all glass tubes typically used as High Frequency HF rectifiers in electronic instruments and special purpose circuits. Excellent for various restoration projects or to set up a private vacuum tube museum. This tube is no longer available.